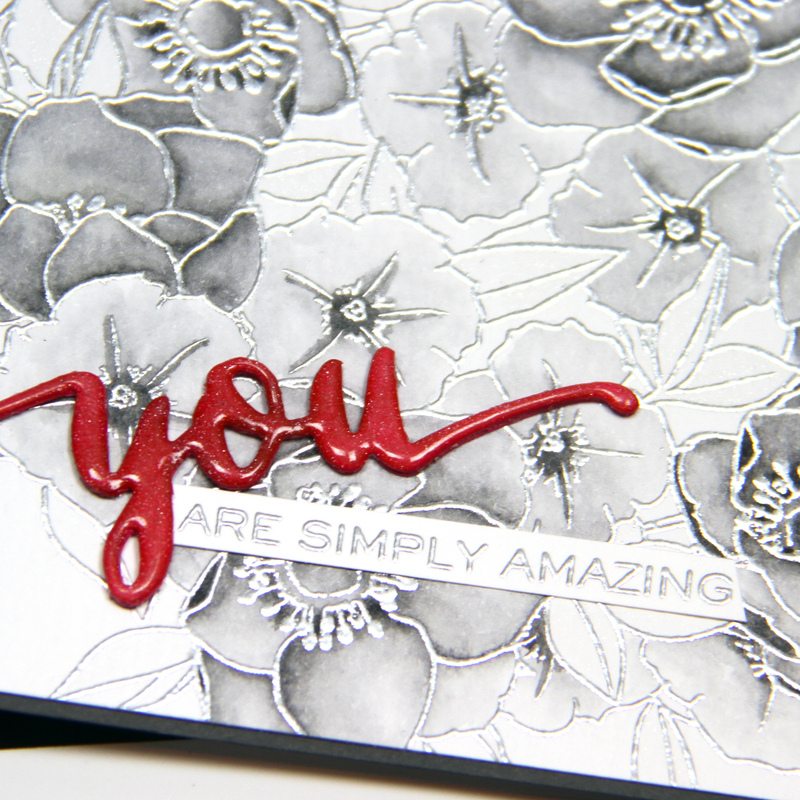 First up is this pretty card featuring the new Peony Dream 3d dies! 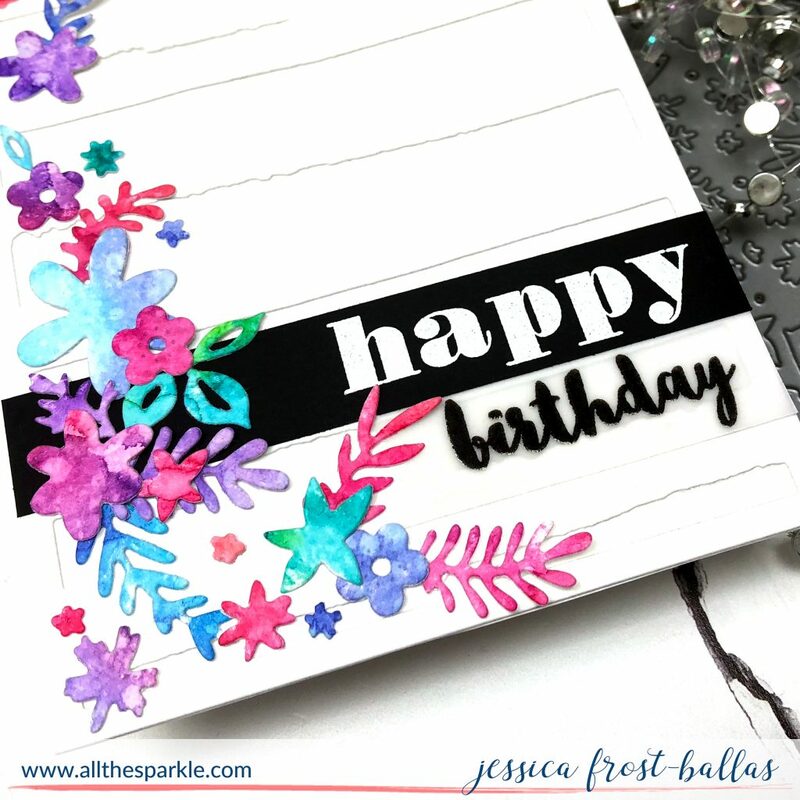 I created a video tutorial for this card and a closer look at the Mini Blossom die-cutting machine! You can watch it below or in HD at my Youtube channel! It’s probably easiest to watch the video for tips on aligning the dies but really it’s not difficult…(much easier than layering stamps honestly!). Just pick a fun color palette and just go for it! I went with shades of peachy pink and grey! Somehow I didn’t grab a photo of it but I used the leftover flower for the CAS peach and white card you can see in the first group photo! Next is this pair of cards using the new Spring Shower Cover die! To start I simply watercolored two panels with distress ink in a rainbow palette. I splattered both with water droplets, blotted them off, and then die cut them with the Spring Shower Cover die. I reserved all the inner pieces for a later card and then mounted one on a white card base and one on a black card base for two very different looks. Then I die-cut the Thinking of you Die from two layers of black or white cardstock and adhered the opposite color to the card. I started by die-cutting the Watercolor Stripes die from white cardstock and layering it onto a white card base for dimensional interest. Then I stamped the sentiment on black cardstock and vellum and adhered it to the base. Finally I arranged the flower bits over the panel, and used a piece of press and seal to pick up the arrangement. I added liquid glue to the back of each piece, flipped the press and seal over, and placed it back over the card panel. I pressed down for a few seconds to make sure the adhesive had time to stick to the card panel and then carefully peeled the press and seal away! Perfect placement everytime! My last card goes for a cool-toned color palette and was a lot of fun to put together! I die-cut the Cube Cover die from white, navy blue, teal, turquoise, and stormy blue cardstock and reserved all the pieces. Then I laid the navy blue die-cut panel over a navy blue panel. Then I simply started inlaying the pieces one color at a time until I was happy with the layout of colors. I added drops of glue to the back of each piece and fit it back inside the die. I didn’t photograph all of them but I repeated the process with each die-cut panel so as not to waste any pieces! So five passes through the die-cutting machine and a little bit of extra time resulted in five pretty cards! I finished the card with a die-cut word and a sentiment label trimmed and adhered beneath the word. These would be great masculine cards or you could change up the color palette for a very different look! To celebrate the release Altenew is giving away SIX $50 gift certificates! To celebrate this release, Altenew is giving away a $50 gift certificate to SIX lucky winners! Please leave a comment on the Altenew Card Blog and Altenew Scrapbook Blog by Monday, January 15th for a chance to win. 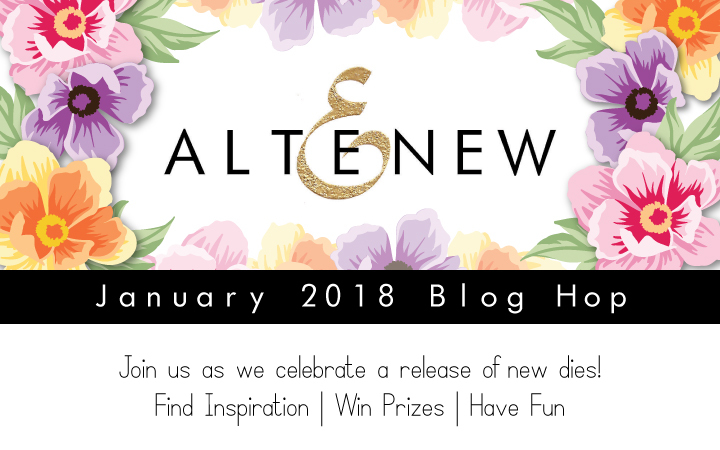 Six winners will be announced on the Altenew blogs on 1/17/2018. And, there’s even more good news! 😉 EVERY stop on the hop is giving away a $30 gift certificate so the more you comment, the more chances you have to win! Please leave your comments by Monday, January 15th and the winner will be announced on January 16th! Jessica, these are all very beautiful! They are so lucky to have you as a designer! Your ideas are very inspirational! Excellent work! More wonderful inspiration!!! Thank you! 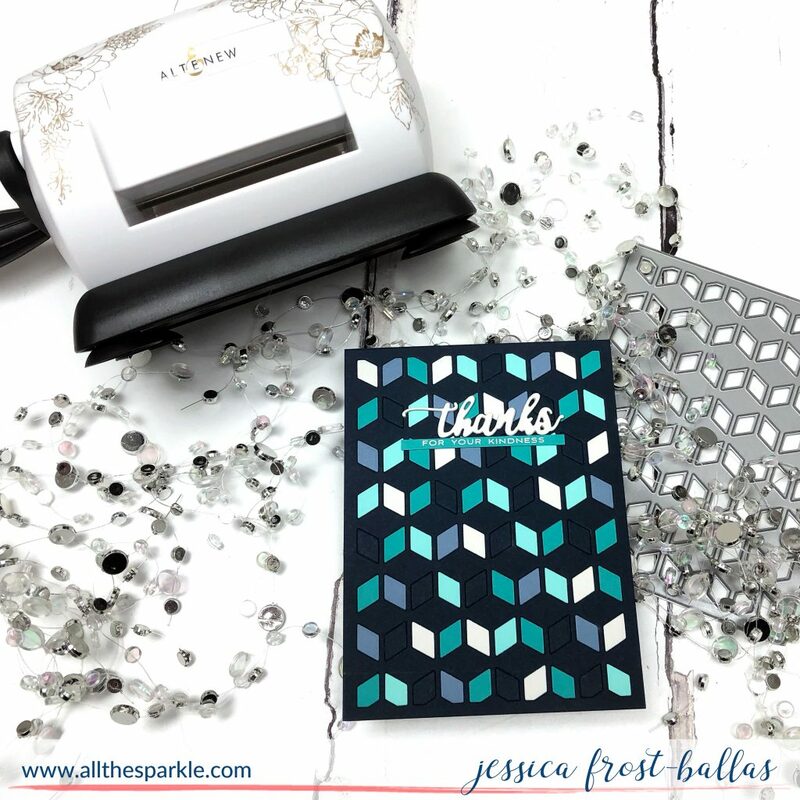 Thank you Jessica for such creative and colorful cards and techniques. Gorgeous cards from this wonderful release! So clever. And I like the new look of your blog. WOW! 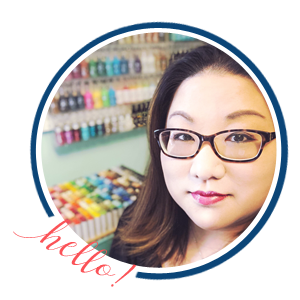 Your cards are absolutely gorgeous; your showcases of the amazing 3D dies has made my wish list *very* long! The peony…oh my! Swooning! wow! love the bright colors! 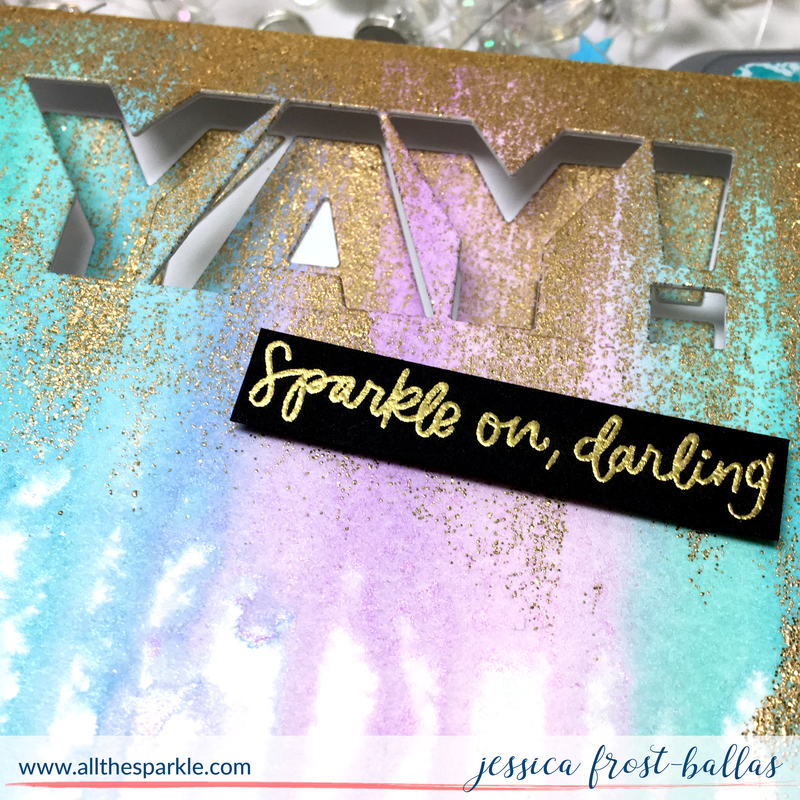 These new dies are amazing and there are so many cool ways to use them! Your cards are gorgeous and I agree that layering die cuts would definitely be easier than layering with stamps, but both are fun. Absolutely beautiful…love the bright colors. 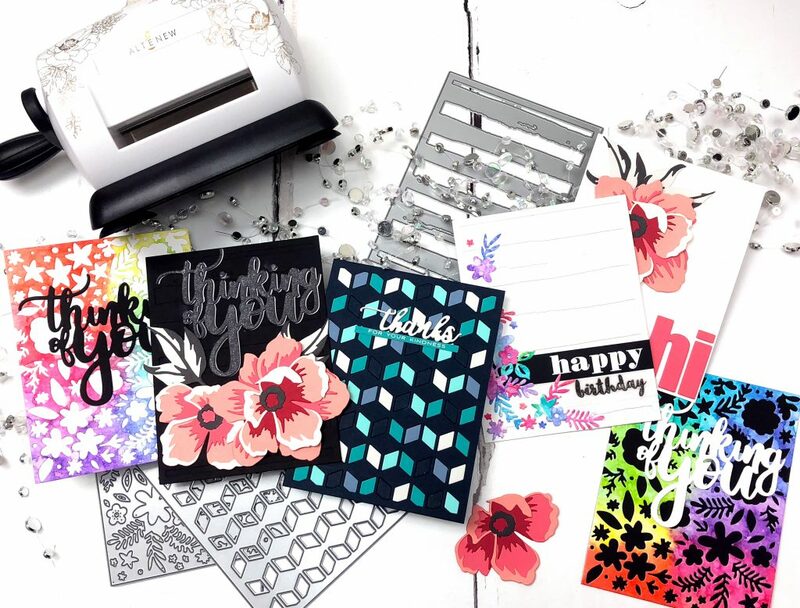 Both wonderful examples of the new release – gorgeous colourful flowers and love how the graphic black and white sentiment looks under those flowers. Awesome cards with these new dies. My fave is the first one with the peonies. 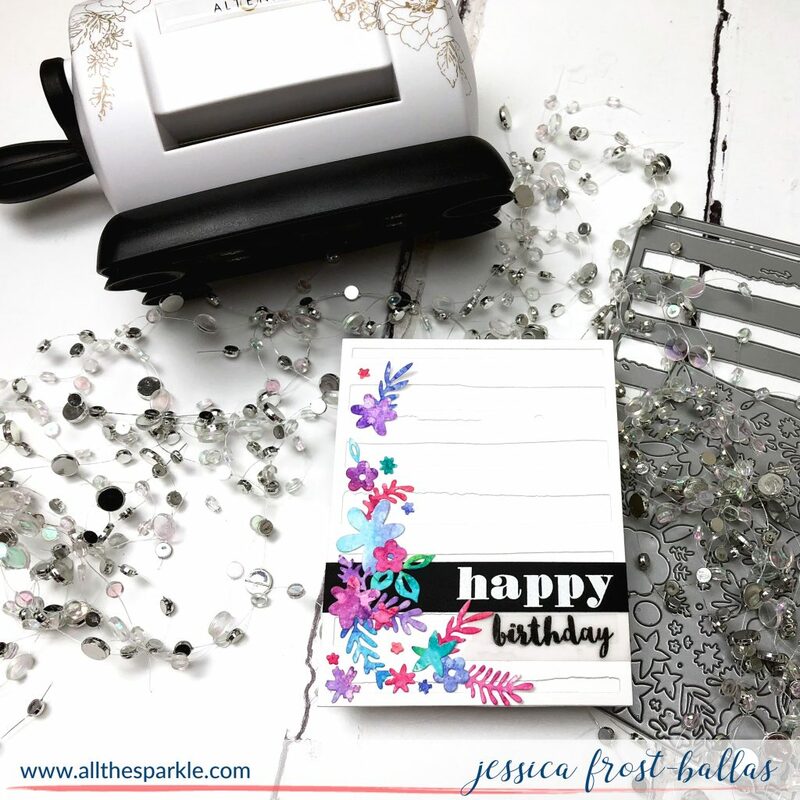 Love the cards and wish for the dies !! 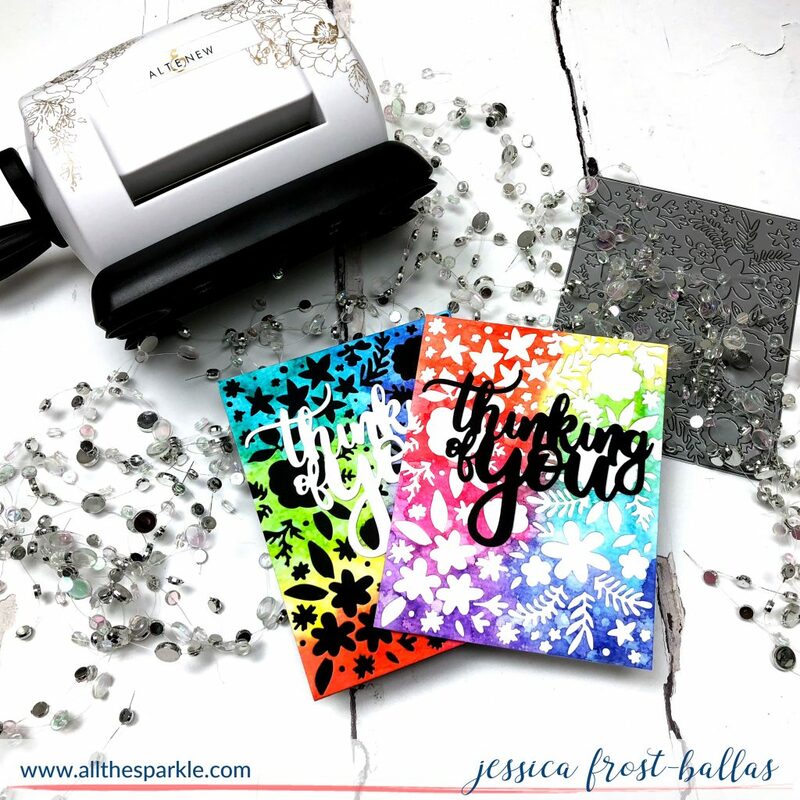 Such beautiful cards Jessica! My favorite is the cube cover card! I love the dies in this new release! Just love the color combinations on these cards! Watercolor stripes cover die white on white is so amazing! Gorgeous release! So many beautiful ideas for the dies in this release! Your cards are beautiful! Gorgeous cards! Thanks you for sharing the awesome ideas. The black background on the first card really makes the flowers pop. Black card bases are so underrated! I love your watercolored die cuts! This release is really fun, isn’t it? I love everything about this release! Wow- such cool cards! I love that cube cover die. I can see using it in many cards.